Spend an inspiring week exploring marvelous Sicilian towns with this well-rounded tour package. Begin in the capital city Palermo. Then continue to historic Agrigento and see it's enchanting Valley of the Temples along with the white cliffs of The Scala dei Turchi. Finish your tour in Taormina, a cozy coastal town of Sicily full of local flavors. Welcome to Palermo - the stunning capital of Sicily. Upon arrival, you are met by your private driver at the airport, who transfers you to the hotel for check-in. Optional extensions available: Add one more day to your trip and enjoy a tour of the towns of Cefalu and Castelbuono with a private guide-driver or embark on a day tour with a guide-driver to Segesta and the unforgettable medieval hilltop town of Erice. Contact your travel specialist for details. 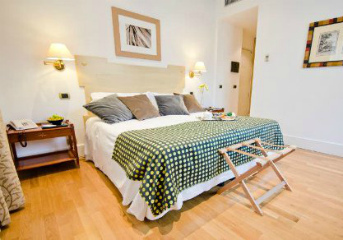 After breakfast you meet with your private guide to enjoy a comprehensive sightseeing tour of Palermo. The capital of Sicily - Palermo - has been a crossroads for cultures and civilizations for 8 millennia. Together with your private guide you start the tour at the Norman Palace and the Palatine Chapel. Then you walk along Villa Bonanno to the Cathedral in Corso Vittorio Emanuele, just to admire the exterior; continue along Vittorio Emanuele to the imposing Four Corners. Then on to the Tuscan fountain in Piazza Pretoria and just behind it see two splendid Arabo-Norman churches, La Martorana and San Cataldo. After the tour you return to the hotel. You have rest of the day free to enjoy Palermo on your own or join our carefully planned optional tour. Enhance your trip with a guided day trip to Monreale and visit the famous landmark of the city - the gorgeous Monreale Cathedral with its Cloister. After breakfast you have time to explore Palermo on your own or join our carefully planned optional tours. Enjoy a morning cooking class in English and learn to prepare delicious local dishes. Together with a small group and the chef visit the Capo Marke, then go to a restaurant, where you are guided through a hands-on cooking experience. Highlight your time in Palermo with a half day street food tour. Your experienced guide takes you to the local market where you dive in the atmosphere of traditions and delight yourself with the tastiest Sicilian dishes. In the afternoon together with your driver you depart to Agrigento* where you check-in at your charming hotel and have the evening at leisure. *On the way to Agrigento you may add a stop in a town Cefalu famous for its Norman Cathedral with Byzantine mosaics. Refer to your destination specialist for more details. Today after a delicious breakfast at the hotel you spend the day exploring famous Agrigento sights and its surroundings. The guided tour begins with one of the two highlights of the city - the splendid Valley of the Temples. It is a UNESCO World Heritage site where you visit the near-intact Temple of Concord, the best-preserved temple in the World and one of the symbols of Sicily. In the second part of the day enjoy a trip with your private driver to the seaside to see the famous Scala dei Turchi Cliffs. The dazzling chalky white rocky cliff eroded conveniently into stairs rising 50 meters above sea level. This natural phenomenon so-called "Stairs of the Turks" allows for easy walking. Its gleaming color is eye-catching enough, but what makes it even more remarkable is that it looks like a staircase carved by man even though its shape is entirely natural. In the morning after breakfast you check-out and your private driver meets you at the hotel lobby for the trip to Taormina. Along the way, we have arranged a stop to see the hidden gem of Sicily near a town Piazza Armerina. Here you visit* the famous Villa Romana del Casale a UNESCO Site especially noteworthy for the richness and quality of the mosaics. Upon arrival you check-in at your hotel. You have rest of the day free to enjoy Taormina on your own. *Short guided tour can be arranged at Villa Romana del Casale. Refer to your destination specialist for more details. In the morning after breakfast at the hotel meet your private local guide. Together you take off to see the highlights of Taormina. During the tour you stroll along the main street, Corso Umberto I, and visit the Greco-Roman Theater that has Etna as its backdrop. After the tour you return to the hotel. You have rest of the day free to enjoy Taormina on your own, spend time on the beach, dine in one of the local restaurants overlooking the bay or join our carefully planned optional tour. Set off on a tour to Mount Etna, the highest volcano in Europe. Here you take a walk to visit the "Silvestri" craters and on the way down you also visit a local winery to taste local Etna wine. Treat yourself to a wonderful experience and have a private cooking class in a fine restaurant with Sicilian cuisine. Recommended extension: If you would like to extend your Italian vacation, continue exploring its wonders with our extensions to Syracuse and Ortygia Island or have a day trip to the Late Baroque Towns of the Val di Noto. Contact your specialist for details.